Meet with Lowe's. Get help with your job search. 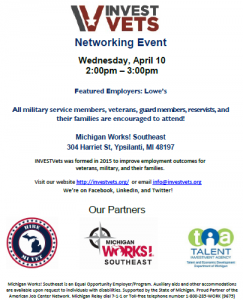 All military service members, veterans, guard members, reservists, and their families are encouraged to attend!